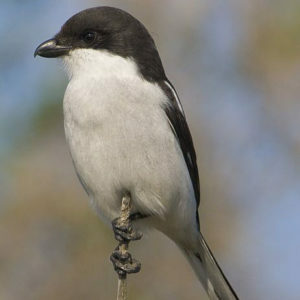 Commonly seen perching on fences, wires and garden trees. Black and white with long narrow tail. Black back with broad white V.
mainly insects, also spiders, millipedes, small frogs, reptiles, birds and rodents. 21 to 23 cm Resident mainly insects, also spiders, millipedes, small frogs, reptiles, birds and rodents.